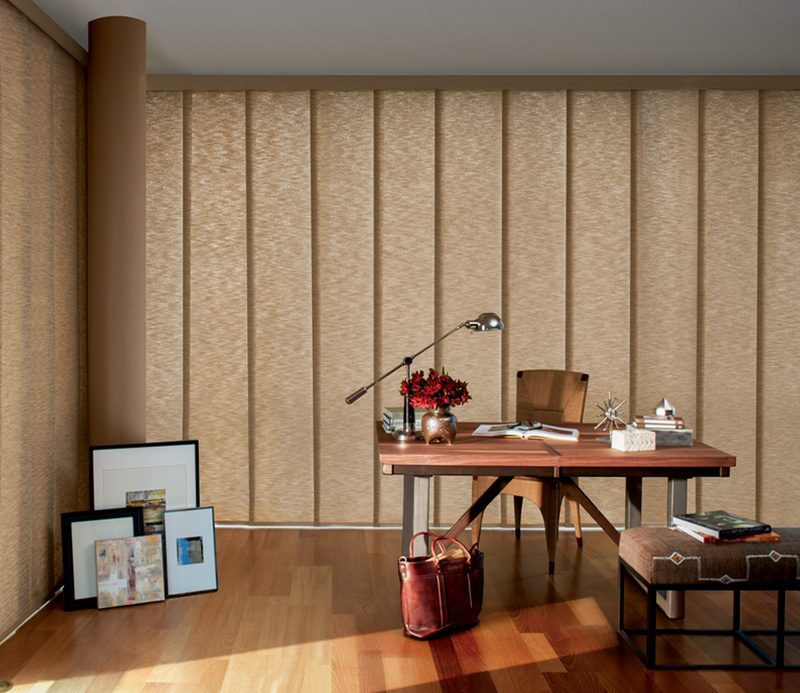 Simplistic access to your outdoor space, Skyline Gliding window panels offer a contemporary look for your sliding doors and large windows. 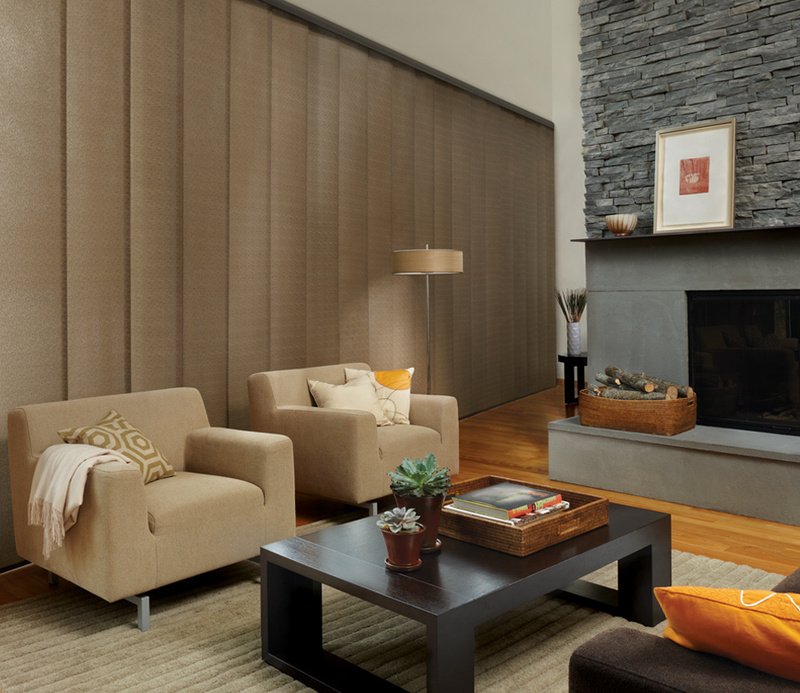 Similar to Panel Track Blinds, these wide panels glide–from the closed position, to open. 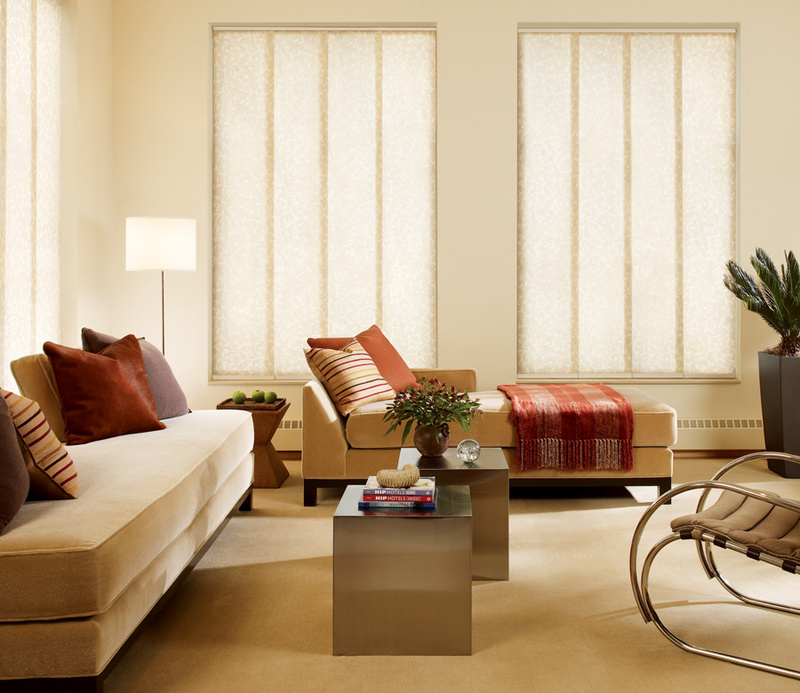 Smooth, convenient and stylish, these vertical shades create impeccable function for your home. 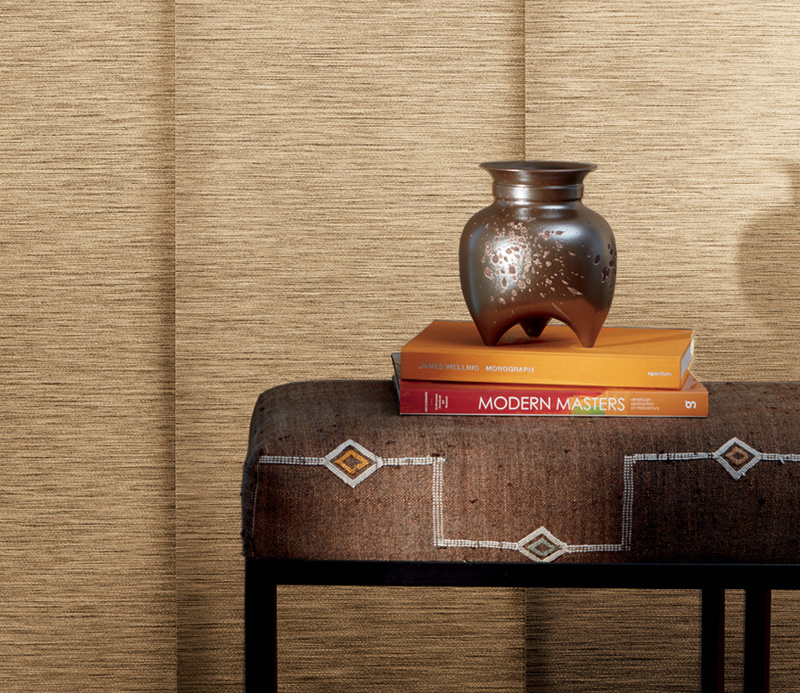 The extra wide appearance will bring a contemporary feel to your home.